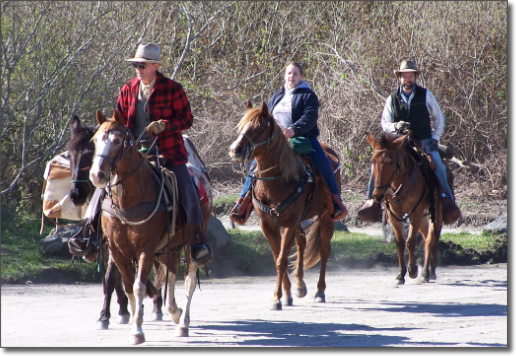 Each month the Redwood Unit tries to schedule a ride to explore local public lands where equine use is appropriate or another horse related event. Generally the third Saturday or Sunday of the month, monthly rides usually start at 10am and ends when it ends! Ride locations vary. One of the Unit's favorite monthly rides, is the April Ride, hosted the the Harkins family in Crescent City. Riders usually drive to Crescent City on Friday and spend the night camped on the Harkins' property. Saturday is the big ride, and the Harkins pull out all the stops! Saturday's ride ends with a delicious BBQ and a casual trail trials event, complete with obstacles and a prize. See the Newsletter for more about upcoming monthly rides.